Is Blue The Hot New Hue For Cool Roofs? One of the most common elements included in an energy-efficient passive house design is a roof that is coated with materials to help reflect the sun’s rays and prevent solar gain in the interior. Most of these so-called “cool roofs” are made of squint-inducing white materials to take advantage of the color’s highly reflective properties. 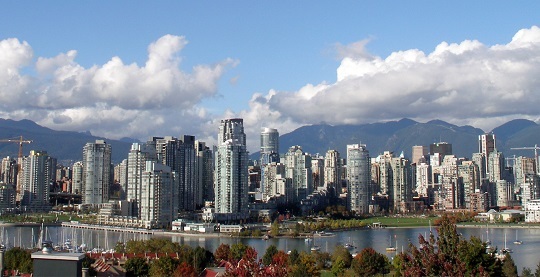 Well, we may no longer be limited to building a boring (and blinding) sea of white-roofed buildings, according to research from Oregon State University (OSU). A recent article from Fast Company’s Co.Exist website described how a rich, deep blue may be the new hot color to keep our buildings cool. 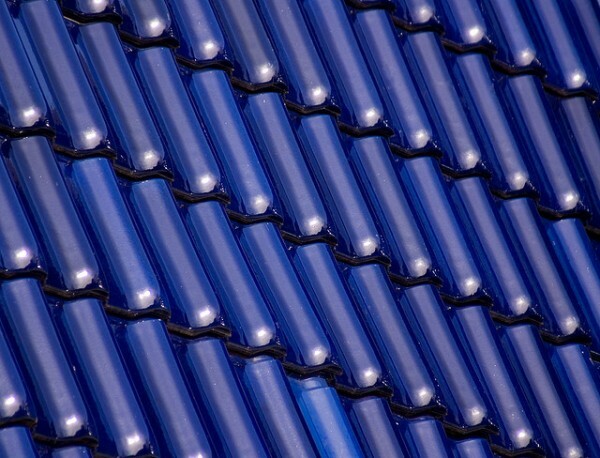 The new look for cool roofs just got a lot bluer, building researchers say. Image by laenulfean via Flickr. Most of the sun’s energy reaches Earth in the form of rays with near-infrared wavelengths, which are almost all invisible to the human eye, OSU researchers say. These rays don’t make objects warmer until they have first been absorbed into the ground and get radiated as heat. They key to a cool roof, says the Cool Roof Rating Council, is to reflect this energy before it can be turned into heat. A diagram showing how a cool roof can reduce solar gain. Image via the Cool Roof Rating Council. What OSU researcher Mas Subramanian discovered was that, with a few tweaks of their chemical makeup, other darker pigments can reflect just as much near-infrared rays as their white counterparts. In fact, the OSU team came up with a specially designed a bright blue pigment — made of manganese, yttrium and indium oxide, mixed and heated to 2,350 degrees F — that is especially good at repelling the sun’s rays. Other dark colors that can be modified for effective use in cool roof tiles include gray, terracotta, sage green, chocolate brown — even black, according to a Cool Roof Guide from the U.S. Department of Energy. Plus, the cost of the new darker materials is nearly the same as that of conventional asphalt or rubber roofing materials, so there’s no real financial disincentive. Besides giving architects and construction managers a wider palette of attractive colors to use in their building designs, the cool roof movement can add up to significant savings. 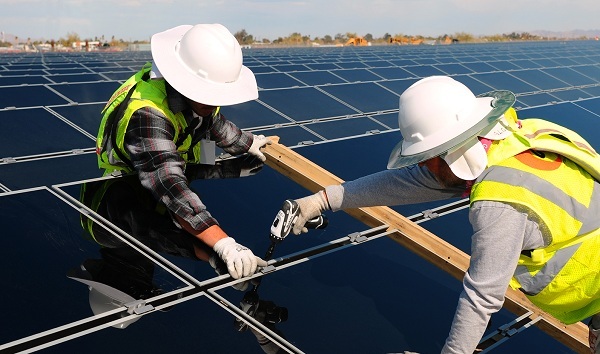 According to the the Lawrence Berkeley National Laboratory’s Heat Island Group, the nation’s builders can save more than $15 billion in reduced energy costs over the typical 20-year lifespan of new roofing materials. This figure could reach $30 billion, the group says, if the 14,000 square miles of existing roofing are retrofitted with cool roof technology. Cool roof pigments are rapidly becoming standard procedure in much of today’s new eco-friendly construction projects. 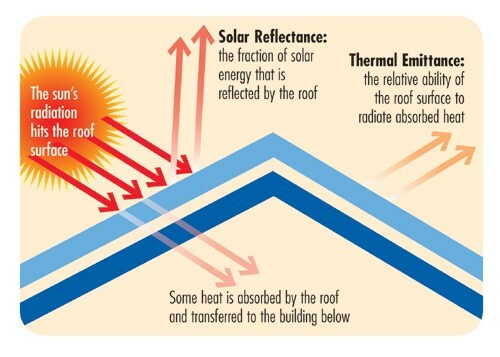 The Department of Energy’s report calls for the installation of cool roofs wherever practical across the United States, and the U.S. Green Building Council’s LEED program requires roofs reflect between 29 and 78 percent of the sun’s energy, as compared to the 10 to 20 percent that is reflected on conventional roofs. 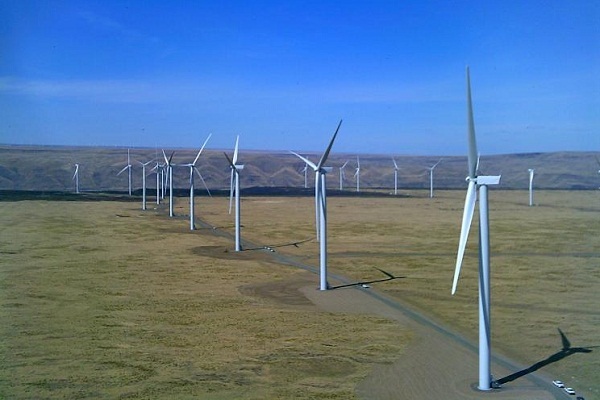 Offshore Wind Advances In Maryland; Will Feds Help? This is really a great idea for keeping ourselves cool. Yes there is a side effect in winters but I think there should be some other way to keep hot in summers too. There should be some method which may work in both seasons. I wish to get the solution soon. Thank you..! !